As I explored this more with her, it became clear that this grandmother did not understand her responsibility to share the Gospel with her granddaughter. It was the reason she was so determined to find a way to get her to church, so the “professionals” could do it right. That was ten years ago, and it awakened me to the sad reality that too many grandparents have a similar misunderstanding of their responsibility to their grandchildren. “If I can just get my grandkids to church, then everything will work out” is a common notion. I realized that more emphasis needed to be place on understanding what the Gospel really is and our responsibility to talk about it in our own families. I also realized we need to know what it means for our lives to be shaped by that Gospel. You will often hear me use Gospel-shapedas a description for biblical grandparenting. It is also the motivational factor for the title of this blog and my signature book—Courageous Grandparenting. Additionally, it is why I have chosen to work closely with my friend at Renewanation, Josh Mulvihill. 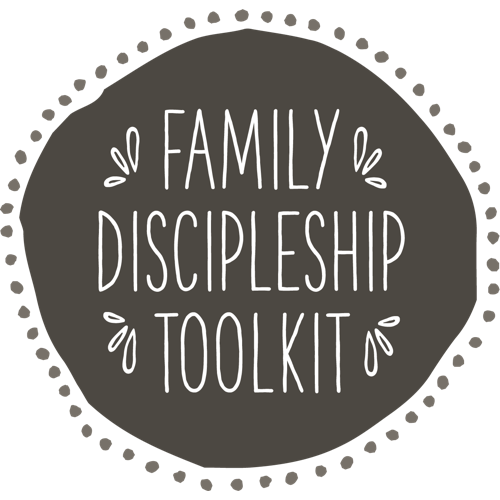 We are working with several ministry partners to build the Gospel Shaped Family web site where discipleship resources, blogs and events will be collected to encourage and equip Gospel-shaped parenting and grandparenting. It means having a clear grasp of how the Bible defines Gospel. The Gospel is the good news that by God’s grace I am saved FROM His wrath, deserved judgment, and just condemnation for my sin—an egregious offense against His holiness. The Gospel means new birthin which I am saved FOR good works. I am made alive in Christ to display His glory and bless others. It means a new way of thinking, living and seeingthrough the lens of a biblical worldview(seeing the world and all of creation as God made it). It is the way of truth in which my mind is renewed, my life is marked by a desire to magnify Christ in everything I do or say, and repentance is a perquisite to wholeness. The Gospel so transforms me that great joy springs from an all-satisfying delight in Him. My driving desire is to make much of Christ in the eyes of my grandchildren and others I encounter. It means my desire to share the Gospel with my family, including grandchildren and great grandchildren, is priority #1. I will not outsource to others what is my responsibility as one of the most influential people in my grandchild’s life. It is mine and I take it seriously. It means my life is driven, not by despair over the condition of the world, but by hope in the promises of Godand my eternal reward. I follow Christ and His commands knowing He is with me and has given me everything I need to fulfill His purposes through me believing that a glorious inheritance awaits me. It means prayer is my first offensive and defensive weaponry against the schemes of the enemy, and my declaration that I am utterly dependent upon the power of God to do through me more than I could ever imagine or think. As a grandparent, does your life bear witness of these vital realities? Is your approach to grandparenting shaped more by Gospel transformation or cultural validation? It takes courage to embrace the former. 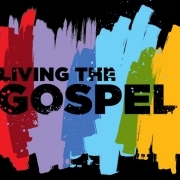 And, while a Gospel-shaped life is no guarantee your grandchildren will respond to the truth, there is little doubt that those whose lives are transformed by the Gospel will make an impact because God who is at work in you. May God give you sufficient courage so that now and always Christ will be exalted in you… for the sake of another generation who needs to know the truth that the Gospel really does set us free. https://www.gospelshapedfamily.com/wp-content/uploads/2019/02/the-Gospel-e1549204340479.jpg 675 1200 Cavin Harper https://www.gospelshapedfamily.com/wp-content/uploads/2018/01/GSFLogo_darkgray.png Cavin Harper2019-02-03 07:38:162019-02-05 11:55:03What Does it Mean to be a Gospel Shaped Grandparent? There’s an old story of two Englishmen who traveled to Africa to explore the wonders of the interiors of Africa. They hired native tribesmen to serve as their guides and set out on their expedition. Thoroughly engrossed in the adventure and wonders of Africa, they soon realized that they had wandered farther than expected. Speed would be of the essence if they were to catch the next ship at port to return home. If they missed the ship, it would be weeks before another ship would show up. 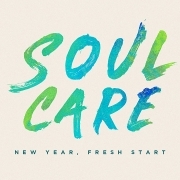 The subject for the last three weeks has been soul care, but what is the soul? It’s an ongoing matter of debate in theological circles. I don’t know what these tribesmen imagined their souls to be, but they knew it was important, and that the soul moved at a different pace than the body. Whatever your understanding of the soul, there is general agreement that it is that part of our being that is spiritual and connects us to the Father as His image-bearers. 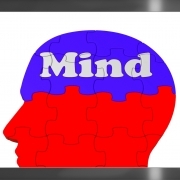 The heart and the mind are distinct components of our being related to soul. How we think, feel, relate and worship determine the condition of our soul. In her book, Soul Nourishment, Deborah Haddix, one of our Prayer Team leaders notes that “Our soul is like the silent, invisible yet necessary Central Processing Unit (CPU) of our person. Our soul, and thus our soul’s health, is the driving force behind everything that matters to us.” I like that—the CPU of our person. I also like John Ortberg’s description: “It is the coolest, eeriest, most mysterious, evocative, crucial, sacred, eternal, life-directing, fragile, indestructible, controversial, expensive dimension of your existence.” It’s a wondrous mystery. Jesus addressed the crucial and “expensive dimension” of our soul when He said: “What good is it for a man to gain the whole world, yet forfeit his soul? Or what can a man give in exchange for his soul?” (Mark 8:36-37). Our soul is who we are and our connector to our Creator. It is the center of our passions, beliefs and eternal destiny. It’s what makes us distinct from the rest of creation. It is eternal, and it needs redeemed. It also requires calculated care. Thus, we need to pay attention to the words of Jesus: “Come to me, all you who are weary and burdened and I will give you rest. Take my yoke upon you, and learn from me, for I am gentle and humble in heart, and you will find rest for your souls. For my yoke is easy and my burden is light” (Matthew 11:28-30). Rest for the soul—letting our soul catch up with our frantic pace—is essential. God wanted His people to understand that when he spoke through Jeremiah: “Stand at the crossroads and look; ask for the ancient paths, ask where the good way is, and walk in it, and you will find rest for your souls” (Jeremiah 6:16). There it is again… rest for our souls. Want it bad enough to do what God says. The tragic reality of the Jeremiah passage is that God knows men’s hearts. “But you said, ‘We will not walk in it [the good way]’” (verse 16). What a typical response of man’s sin nature. If you are not convinced rest for your soul is important enough to make some different choices, you won’t find it. Admit the ‘good way’ and ‘my way’ are not the same thing. This is choosing the path of coming, taking up, and learning. Coming to Jesus is when I open my hands, let go and surrender my need to be in control. Taking up His yoke is choosing to lean on His grace as His work, not the burden of my works. Learning is choosing to stop and listen to the voice of God through His Word and His daily activity in my life. Create time and space with God.The quality of your life and its impact will be directly proportional to your relationship with God in Christ Jesus. If you don’t nurture that relationship with time and space to hear God speak, your soul will shrivel and so will the impact you have upon your grandchildren. We can’t fake it, but we must fight for it. We can’t manufacture it, but we must work at it. If we neglect it, the consequences are devastating. What is it? The condition of our soul. By now, most everyone who will make a New Year’s resolution has made it. The majority of resolutions involve losing weight, eating healthier, or some other personal goal we didn’t keep in previous years. I’d like to suggest a different kind of resolution—making a personal ‘watchlist’. Moses told the Israelites as they were about to take possession of the land God promised to them, “Only be careful, and watch yourselves closely!” (Deut. 4:9). Some translations say, “Keep your souls diligently”. Let’s follow Moses’ advice and create a soul watchlist. Your soul matters because it impacts life in two ways: Your mental, physical and spiritual health, and your legacy. If neglected your heart shrivels in despair and your faith becomes shallow, thin and irrelevant. If your faith would be described as thin and irrelevant, there would be little reason for your adult children or grandchildren to desire to carry on that legacy. Assuming you care about the condition of your soul, let’s talk about building a grandparents’ personal care watchlist this year. If we do not heed Moses’ words of wisdom and guard ourselves well, we will have nothing to give to our grandchildren that would help them live well in a world that does not function well. I know you don’t want that. I certainly don’t. So, the next three posts will zero in on the three vital components of our humanity as image bearers of God that should be on our watchlist: heart, mind and soul. How we care for our heart and mind directly impacts our soul. The inclination of our soul shapes our heart and mind. We’ll explore how to guard them well—guard not only in the sense of protecting, but also healthy maintenance practices. The condition of our heart, mind and soul exposes what we truly believe to be true, and where we place our trust. Where we place our trust reveals the source of our greatest satisfaction and joy in life. And that influences what our family chooses to believe. Let’s start with the heart—the wellspring of life (Proverbs 4:23). 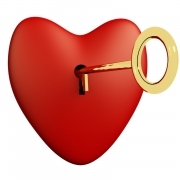 Our heart (not that thing beating in our chest) is our personal treasure chest. In it we will discover what we truly value in life. That’s why Jesus said, “Where your treasure is, there will your heart be also” (Matthew 6:21). In other words, what we treasure reveals what and who we love. What we love will determine whether our heart is filled with greed or gratitude. I was blessed and honored to know a man who did quite well in life by human standards. Though not immensely wealthy, he lived in a nice but not extravagant home. He led a major ministry for many years and was in demand as a speaker. Yet, for all that we could say “he had going for him”, he had a heart inclined toward the things of God. While I knew him most of my life, I never really knew a lot about his family. He died a few years ago, and the church where his funeral was held was filled to capacity with people whose lives had been touched by him–especially his children and grandchildren. For a man who loved having a good time with his family, what stood out were the things his family talked about most. Those would be his family and, most of all, his Savior. He loved singing praise songs and hymns with his family and friends. He loved giving and going out of his way to help a friend and bless others. His grandchildren enjoyed many fun times with their grandpa, but what they talked about most was how much he treasured his family, his relationship with Christ, and the opportunities to tell others about His Lord. This was a man whose heart was good and full of gratitude. What would your grandchildren say you treasure most—right now, because that is what they will talk about at your funeral. As we begin this New Year, let’s make sure our hearts are on the watchlist so that the things we treasure are those things that will last well beyond our years and the generations that follow. They mystery of the incarnation is that God became one of us—God in the flesh. “For unto us a child is born”. But not just any child—but the One who is called “Wonderful Counselor, Mighty God, Everlasting Father, Prince of Peace”. Ponder the wonder of this incredulous act performed on our behalf. It is a doctrine we dare not ignore, for the amazing reality of the Incarnation draws us to Himself, as it did the shepherds that night. This was a birth worthy of the heavenly host assembling in that country side to sing praises to God, for who lay before us that night was Mighty God, Prince of Peace in the flesh. That grand moment in human history is so far removed from us in our day that we easily miss its significance. We have created our own traditions which, if we are not careful, can obscure the wonder of this night. Just like last year, our misguided focus on things causes us to miss the whole point of Christmas… again. We missed His coming. Oh, of course, we read the Christmas story and sang some carols. But we still missed His coming, and His peace. Jesus came to dwell among us and reveal what it looks like to love as the Father loves. His time on earth began with a manger and ended with a cross and empty tomb. But it’s not the end of the story. He will be coming again. Central to the whole Christmas message is that this Savior whose birth we celebrate at Christmas, and whose life was sacrificed for ours, will return again and raise us to immortality. Those who love Him and follow Him will be raised to eternal life in a new heaven and new earth. Those who missed His coming, and therefore, His everlasting peace, will face judgment in His Second Coming. So, how about it, Grandma and Grandpa? 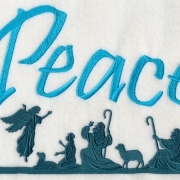 How does the Christmas story affect your peace? What will your grandchildren learn about the peace that passes understanding from your life? Will they learn that life is all about stuff—the person with the most stuff wins? Or will they discover in you an indescribable peace because Christ is your greater treasure and delight? Christmas will be over in two days. Perhaps this would be a good time to re-establish new priorities and perspectives about peace on earth in light of eternity rather than trying to find it in all the stuff we lavish on one another. As the New Year approaches let’s build our life purpose around the wonder of God’s love, and a fervent commitment to love as He loved us. Who knows… it just might rouse another Hallelujah chorus from the heavenly host singing His praises because His peace is indeed evident among His people. https://www.gospelshapedfamily.com/wp-content/uploads/2018/12/Peace-angels.jpg 509 807 Cavin Harper https://www.gospelshapedfamily.com/wp-content/uploads/2018/01/GSFLogo_darkgray.png Cavin Harper2018-12-20 16:56:142019-02-04 08:30:20Don't Miss the Peace! The expectation of His coming leads us to great joy in celebrating that coming. It makes the waiting worthwhile as celebrate the glory of this wondrous work God accomplished for our salvation in the coming birth of the Christ child. I cannot help but smile at the wonder and excitement that my three youngest grandkids demonstrate each Christmas when it’s time to open presents. It’s a joyful wonder most of us can easily relate to at this time of year. At the same time, we know it’s not Christmas presents under the tree that causes our heavenly Father to smile. His joy is in those moments when one of His children truly grasps the wonder and awe of the glorious Christmas story. Sometimes our simplistic enactments of the Christmas story can miss the sense of awe and wonder that must have stunned the shepherds that night as the angelic announcement exploded with the glory of the Lord. Did you catch that important phrase in the Luke passage? The glory of the Lord shone around them! Like a nuclear bomb, the Lord’s glory burst upon that pastoral scene and forever transformed those who witnessed it. Out of the complacency of their ordinary lives came a burst of wonder and awe at the news of something so extraordinary that they had to go see “this thing that had come to pass”. What they saw was so astonishing they could not help but tell others what they saw. In our day there is no scarcity of complaints about how commercialized Christmas has become. I see and hear much whining about Santa Claus getting more prominence in the Christmas holiday narrative than Christ, even though the word, Christmas, still bears witness to the true object of this “holy day” celebration. And we should be concerned about the derailing of the true story in favor of a mythical one. I wonder, though, if it would be better to focus less on all the shortcomings of others who fail to grasp the true meaning of Christmas and focus more on the state of our own hearts. Perhaps, Christmas has lost its focus because we have lost our wonder and awe at the glory of this celebration of the Incarnation. 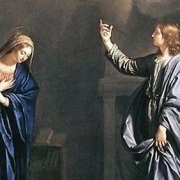 The mystery and wonder of what we call the ‘Annunciation’ is central to the Christmas message. Jesus is God in the flesh conceived by the Holy Spirit in a virgin named Mary. Let this wondrous mystery seep into your soul and prepare your heart for the joyous entry of our Savior into the world of men. Today marks the beginning of week #2 on the Advent Calendar. May God use this time to enrich your joy and gratitude for the gift we received from our Father. Light the second Advent candle as someone reads Isaiah 11:1-5 and Romans 3:23. As we begin this second week of Advent, preparation through wonder is our focus. There is a reason Christ came as God in the Flesh. That reason is our desperate need for a Savior. Since the Fall in the Garden, man’s heart is scarred by sin and a predisposition toward disobedience and rebellion. Let me say it again… we need a Savior! Yet, does it not seem illogical that a holy God would choose to enter our world through the normal process of human birth in a manger with the express purpose of surrendering to a cruel death on a cross on our behalf? Who would come up with such a crazy plan? Surely the angelic host must have puzzled over this as well. This is a time to stop and ponder this inexplicable mystery of God who entered our world by humbling Himself to save us because He loves us that much. The thought of it is so wonderous because it is so preposterous to our imaginations. Three powerful symbols or images of the Christian faith encapsulate the glorious mystery of God’s Incarnation and plan of salvation—the baby in a manger, the cruel cross, and the empty tomb. 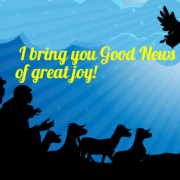 Yet, as significant as these are for us as believers, the visual image of the Christ child lying in a cow stall feed trough may be the most troublesome image for many people. After all, how could the Creator stoop to such a low and unimpressive entrance into our world? This isn’t how a king should come, let alone the King of kings! Yet, it is precisely this mysterious intervention of God into our world that compels us to fall on our knees in awe, wonder and amazement as we encounter God’s nature and love for us—sinners in need of a Savior. This was no human invention, but the intervention of a loving and merciful God. And He did it for us! Where do you stand on the ‘awe and wonder’ scale during this Advent season? Might I suggest a Christmas family tradition that, if you are not already using it, might help elevate the wonder scale? It’s a simple, yet profound way of expressing the wonder of God’s entrance into our world. Remove the Christ child from your crèche or nativity scene and wrap it in a nice package with a gift tag marked: To: (Your family), From: God. Place it under the tree to be the last gift you open on Christmas Eve or Christmas Day. After opening this gift, replace the Christ child in the crèche as someone reads Luke 2:1-20. Follow up by asking for responses about the significance of the way Christ came. In the meantime, prepare your heart for the wonder and awe of Christ’s coming. This was the moment in which the angelic host sang in what must have been a glorious sound: “Glory to God in the highest, and on earth peace to men on whom His favor rests.” Maybe we ought to do the same? There is certainly no shortage of Christmas “Scrooges” these days. Unfortunately, Scrooge is just as alive and well in the 21st century as he was in Dicken’s day. A brief visit to the Internet will reveal an abundance of Scrooge attitudes among bloggers and people who feel the need to express their “enlightened” opinions. Even we Christians sometime express a ‘humbug’ attitude towards this holiday. We may react to the anxieties created by a commercialized atmosphere that overshadows the true meaning of our celebration. We might even be tempted to ‘throw out the baby with the bath water” and dismiss the Christmas holiday entirely. But to do that is to miss an opportunity to proclaim and savor the glorious good news of the birth of our Savior who dwelt among us. Today is the first Sunday of Advent. Advent simply means “coming”. It is an historically rich time of preparation, contemplation and celebration of the coming of Christ in human flesh to reveal the Father and to sacrifice Himself for our sins. We celebrate Advent to remind one another of the prophecies that were made concerning His coming for centuries. The practice of Advent has been largely lost, replaced by the commercialization of this season. This is a good time to restore this ancient practice, not as another “tradition of men”, but as a means of regaining a sense of the wonder and joy of this time of Good News. It is also prime teaching time with your grandchildren. You can talk to them about it when they are in your home, when you talk to them on the phone or Skype, or through notes in the mail. There are many variations on how Advent is expressed. They are all valuable if they point to the coming Messiah and His work of Redemption. I have chosen a version that is not commonly used. I’ve chosen it because I think it gives a big picture view of why Christ came. An effective visual tool, especially with younger children, is the Advent wreath with candles representing each week of the Advent season. You can buy one or make your own. It is helpful as a visible expression of the truths you are proclaiming as you prepare your hearts for the celebration of Christ’s coming. So, let’s start with week number one. This week calls us to focus on the experience of waiting. Israel waited for centuries for the Messiah to come, and when He did, most of them missed it because they forgot what the promises foretold. Adam and Eve were the first to hear the Promise (Genesis 3:15) that generations after them would have to wait to come to pass. Light the first Advent candle and read Isaiah 40:1-5. This prophecy of the coming Messiah is to be a comfort to God’s people as they wait for the one who will be that voice preparing the way for the Lord’s coming. What does it mean to wait? Why is waiting hard? Why was the waiting for Christ’s coming so necessary? Why was it so important? In a world where we are accustomed to having everything now, there will always be Christmas scrooges among us. This is a good time to experience the blessing of waiting in anticipation of receiving something truly amazing—a Savior. 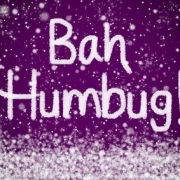 https://www.gospelshapedfamily.com/wp-content/uploads/2014/12/Bah_Humbug.jpg 283 424 Cavin Harper https://www.gospelshapedfamily.com/wp-content/uploads/2018/01/GSFLogo_darkgray.png Cavin Harper2018-12-01 09:57:072019-02-04 08:30:23Christmas... Bah, Humbug? It is interesting how the holidays reveal so much about men’s hearts. I am blessed by stories of Good Samaritans like the man who drove his RV to California at Thanksgiving to help serve that community. But he didn’t drive his RV so he could stay in it. He drove it to give to a deserving firefighter who lost his home in the fire, so he would have a place to live. That kind of generosity is refreshing. The Bible says such generosity not only refreshes others but refreshes the giver as well (Proverbs 11:25). On the other hand, the holidays also reveal the deep selfishness and greed of the human heart. 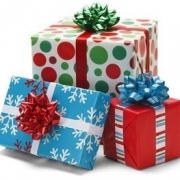 It is sad how Christmas, a time for giving, has become so much about getting and profiting. Black Friday promotions feed on our appetite for stuff. Our children learn more about coveting than about caring. Unwittingly, perhaps, we fuel their covetousness by encouraging them to make long lists of expensive toys for themselves they neither need nor appreciate for long. I wonder how different the holidays might be if more parents and grandparents thought it important to teach that it is more blessed to give than receive, or that Christmas really has nothing to do with our packages under the tree. If Christ was our all-satisfying delight, would the things of this world lose their luster? Paul challenged believers to wake up and see in the light of Christ that we have been made alive. Because that is true, we are to be careful how we live. We are to wisely make the most of every opportunity to bear witness to a greater treasure. Grandparents, what are you doing to demonstrate this better treasure in the eyes of your grandchildren? You have the power through the Spirit to influence what these Holy Days are really about, or you can accommodate the lust for treasures that rust and never last. Nor do they satisfy our deep longings for better treasure. Advent is one way to help focus on the reason for our Christmas holiday. Advent begins on Sunday, December 2 this year. There are a number of Advent resources available online or in your Christian bookstore. Here’s one simple little booklet (A Christmas Code) you can use with your grandchildren, even if they’re far away. Over the next several weeks, I will also be sharing an Advent schedule you may find useful. By the way, there’s nothing wrong with giving good gifts to your grandchildren, as long as that’s not all you give them. Don’t forget the better gift of the Gospel and pray they will delight in the wondrous glory of that Gospel. That’s the wonder of Christmas. Don’t be caught asleep and miss this opportunity to show them the better gift. https://www.gospelshapedfamily.com/wp-content/uploads/2015/12/CHRISTMAS_GIFTS-e1543094555829.jpg 263 364 Cavin Harper https://www.gospelshapedfamily.com/wp-content/uploads/2018/01/GSFLogo_darkgray.png Cavin Harper2018-11-24 14:27:112019-02-04 08:30:23Are You Asleep?